Adobe have just solved a tricky issue for me: I'd like to use Mac less, and Linux more. But what about Photoshop? 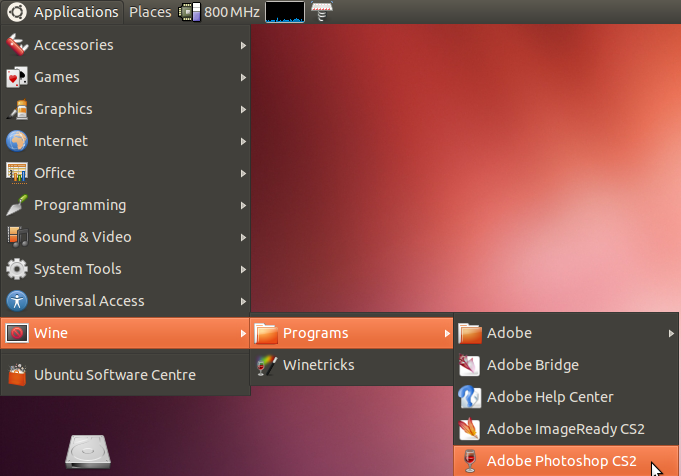 Well after their announcement recently I realised I have a legit CS2 licence, and wondered if I can run CS2 under WINE on Ubuntu. Yes I can, and very easy: result all round. 5. Download CS2 from Adobe, and then just doubleclick the .exe installer, put in serial number as usual, and launch from Applications > WINE > Programs. Remember you need a proper CS2 licence. 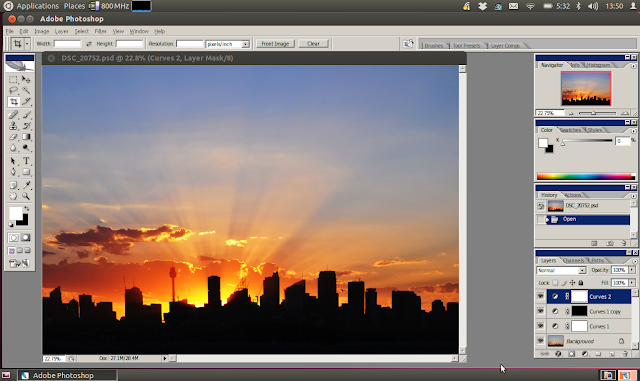 Wine offers improved Photoshop-on-Linux support Wine, the open-source compatibility layer for running Windows programs on top of Unix-style operating systems, has been updated to offer improved support of Photoshop CS2. Using the latest updates (of which another has been posted today), it should be possible to run PSCS2 for Windows on top of Linux."